The five blade smartfan (available here) is undoubtedly one of the best stove fans on the market and is very reliable and likely to last you for many years. However at some point in the future the performance might deteriorate. But instead of throwing it out and getting a replacement it may just need to undergo a little bit of surgery. Sometimes this might just be a front blade replacement. These are all Aluminium constructed. They are designed in 2 sizes for both SmartFan & SmartFan Mini and are available in three different colours with a choice of a black, silver or gold finish. 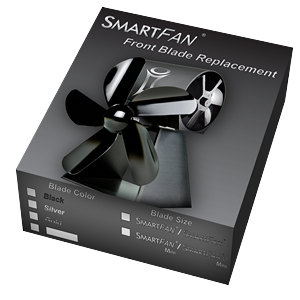 The SmartFan Repair Kit comes in 2 different models. Heat Sink Compound (only for SmartFan LT Repair Kit). 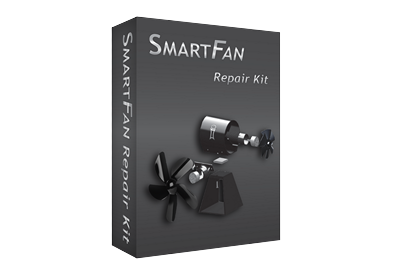 Detailed instructions on how to use the Smartfan repair kit can be viewed here.